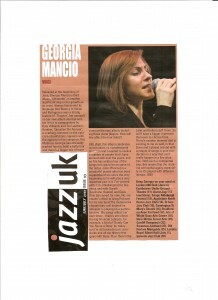 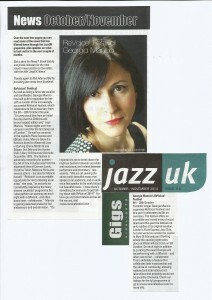 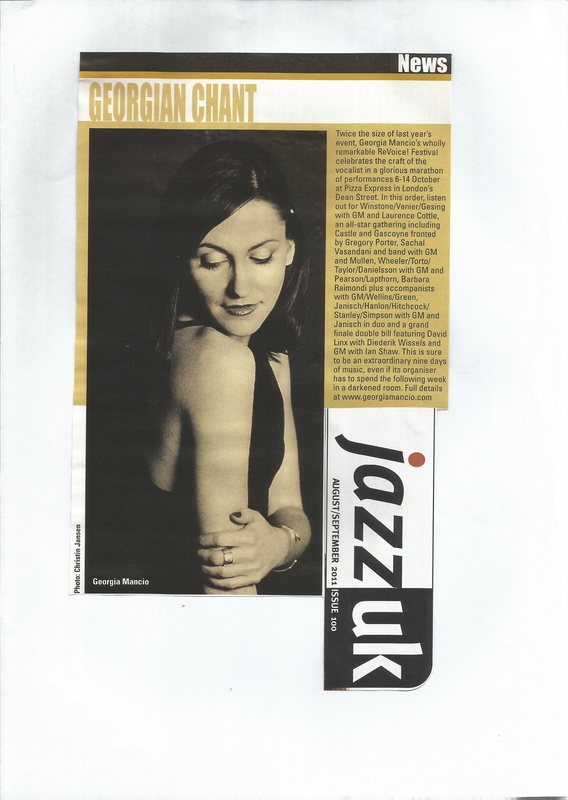 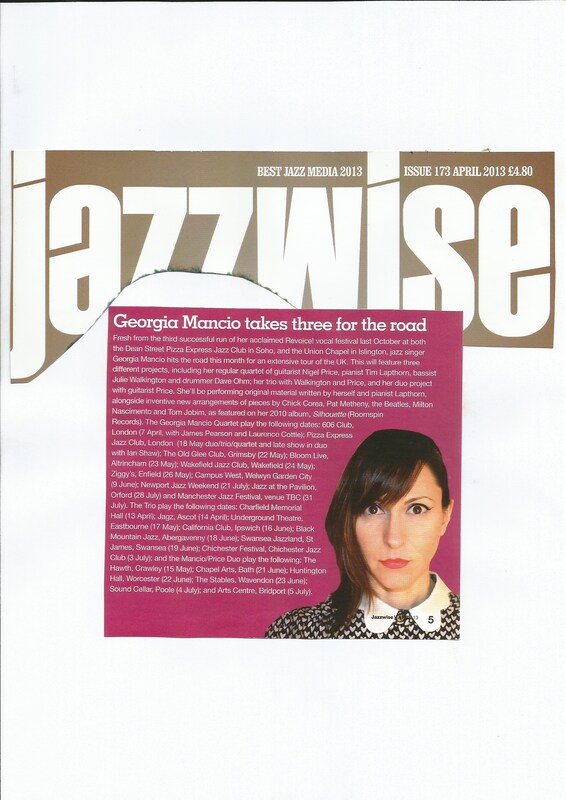 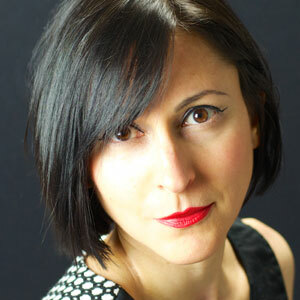 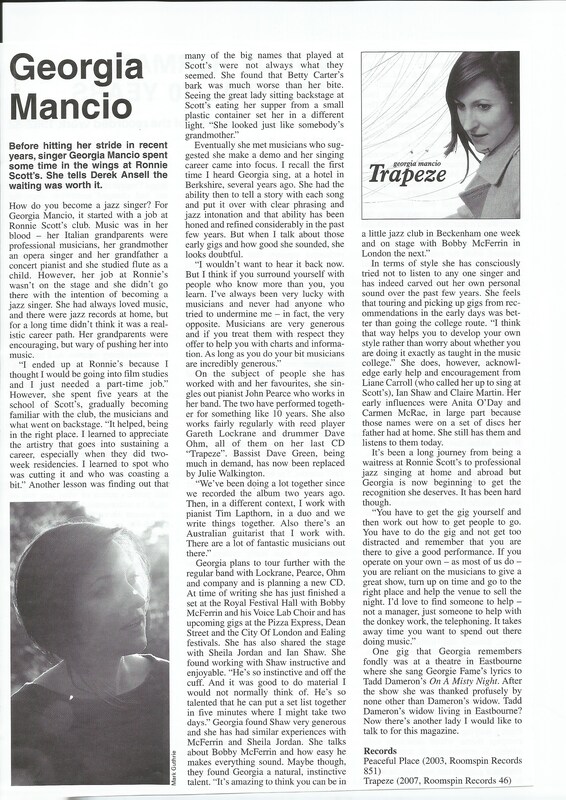 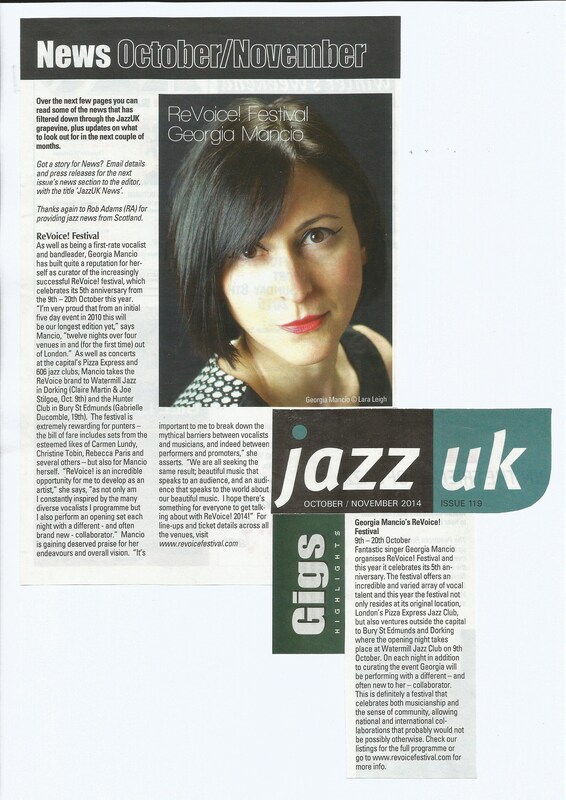 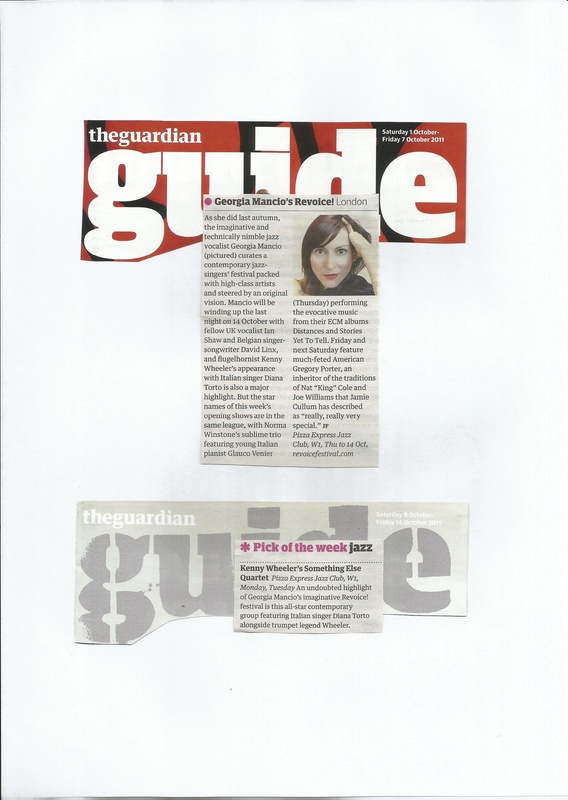 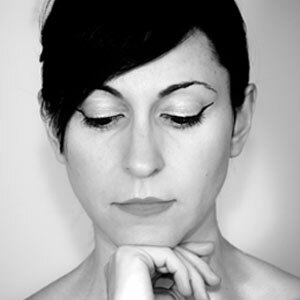 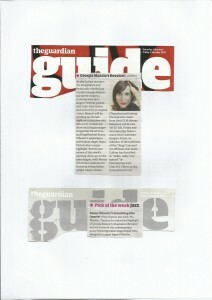 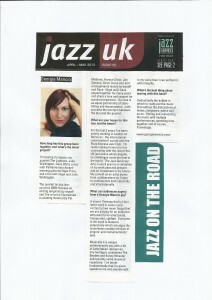 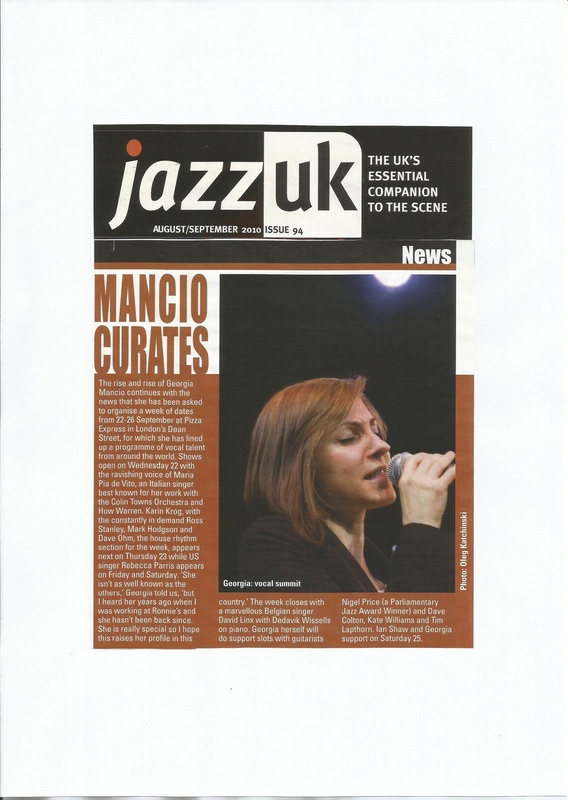 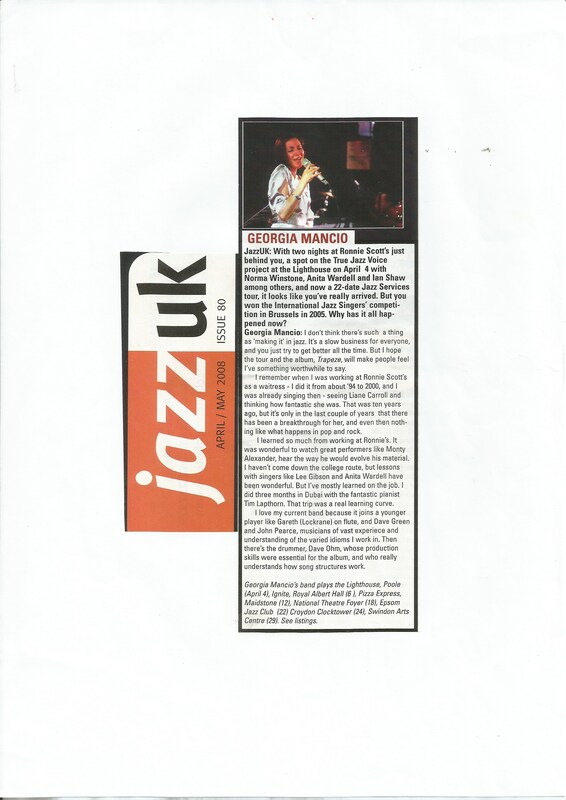 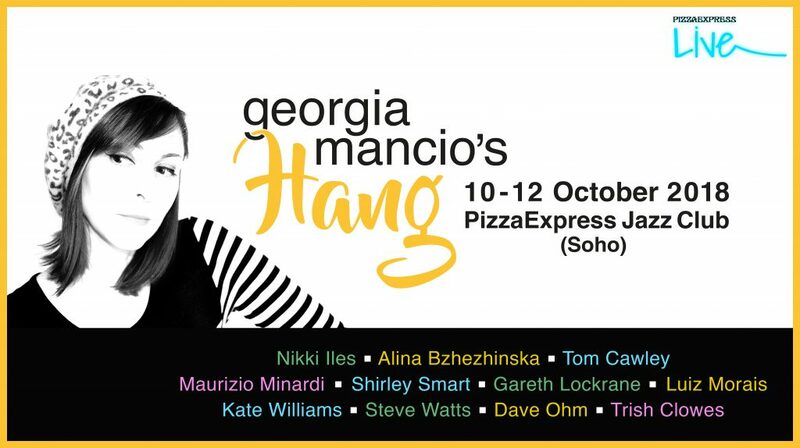 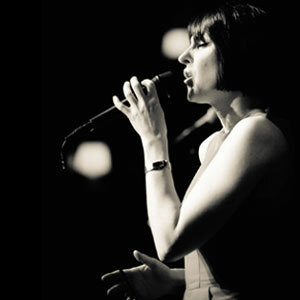 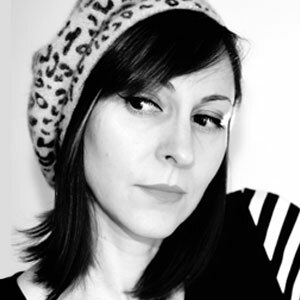 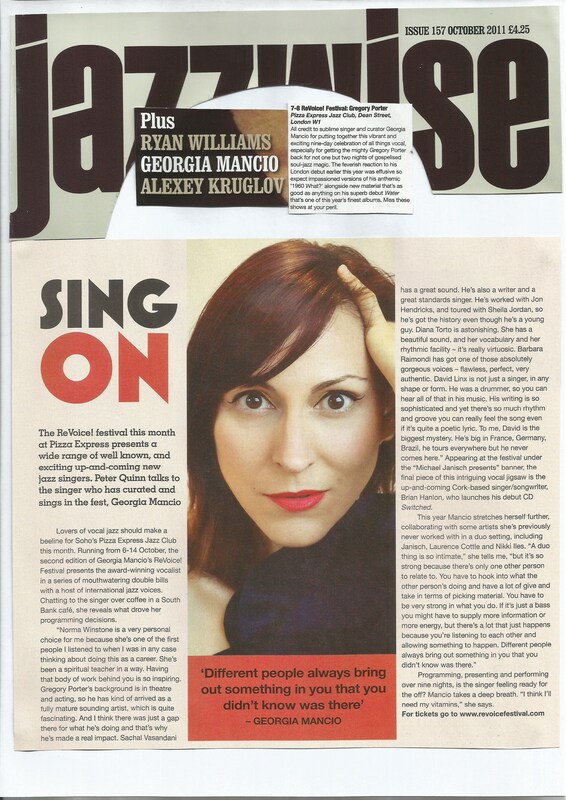 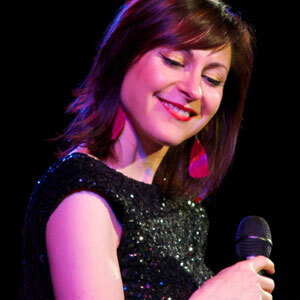 Georgia talks about the second edition of her Hang at the Pizza Express Jazz Club with collaborators including Gareth Lockrane, Alina Bzhezhinska, Trish Clowes, Nikki Iles and Maurizio Minardi. 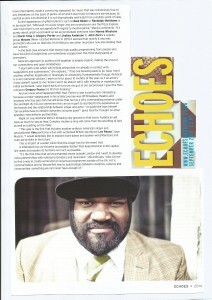 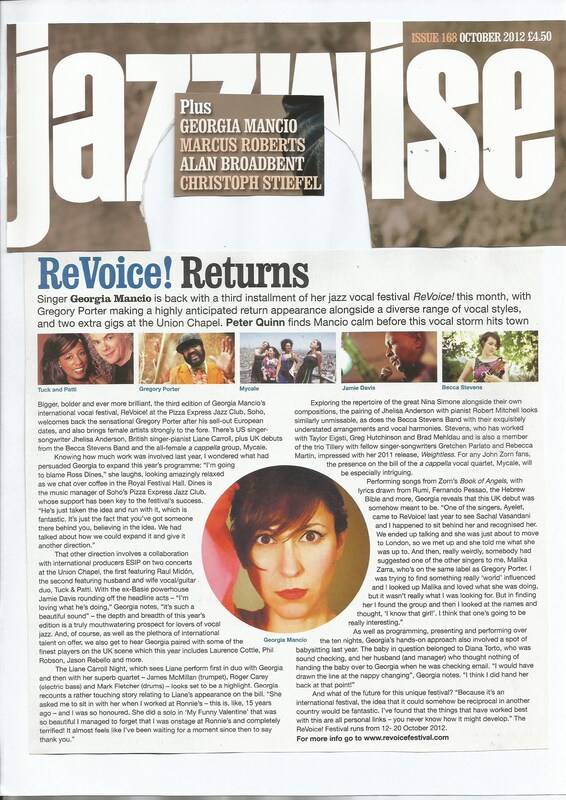 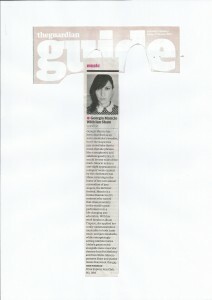 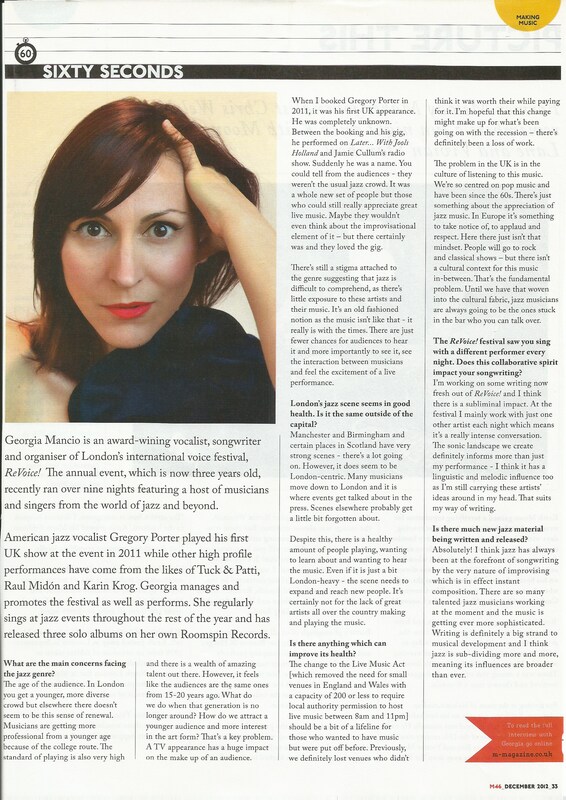 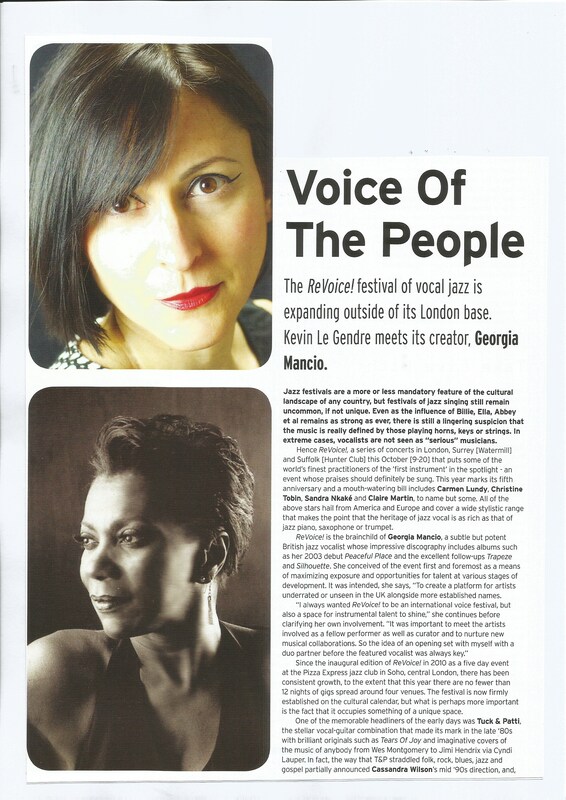 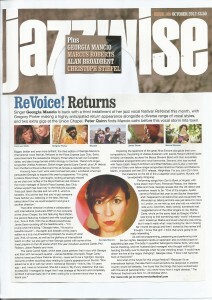 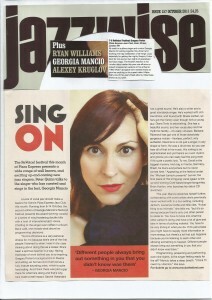 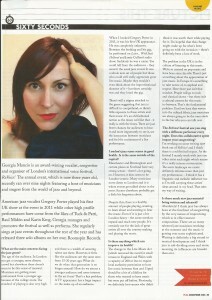 LondonJazz interview on Live at ReVoice! 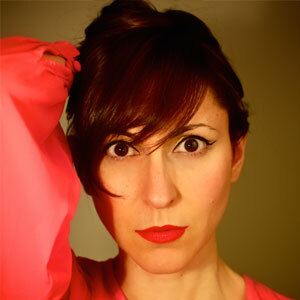 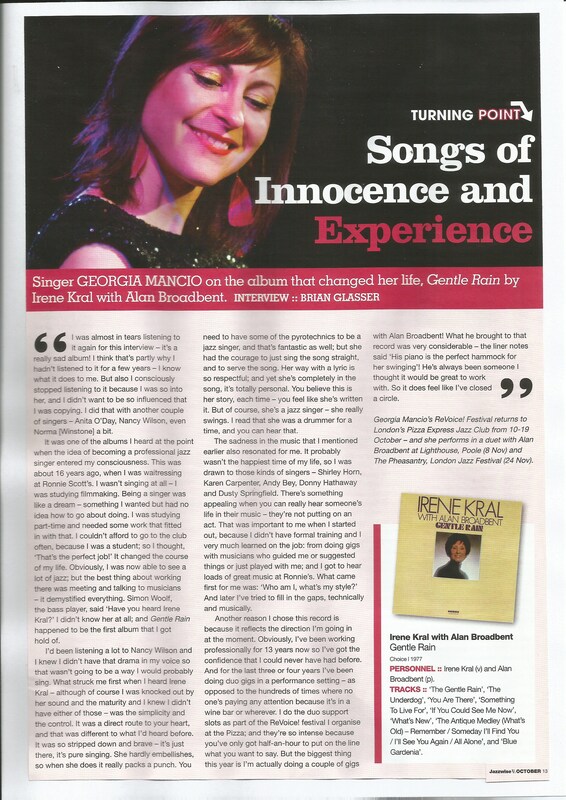 Vocalist Georgia Mancio took a year off from promoting the annual Revoice! 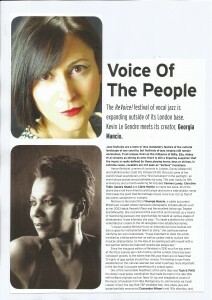 Festival this year, and has been actively involved in a songwriting project with Alan Broadbent. 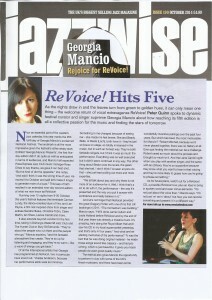 She has also made a 12 track compilation of her own performances at Revoice! 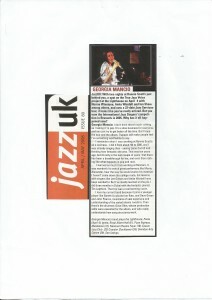 which will be released on November 26th as a CD. the launch is at Pizza Express Dean Street on Monday November 16th. 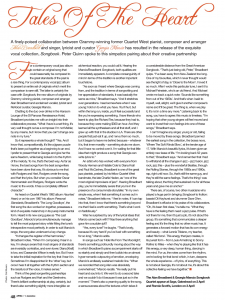 She explained the background to this album release and the many collaborations it represents to Sebastian Scotney. 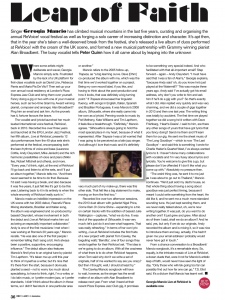 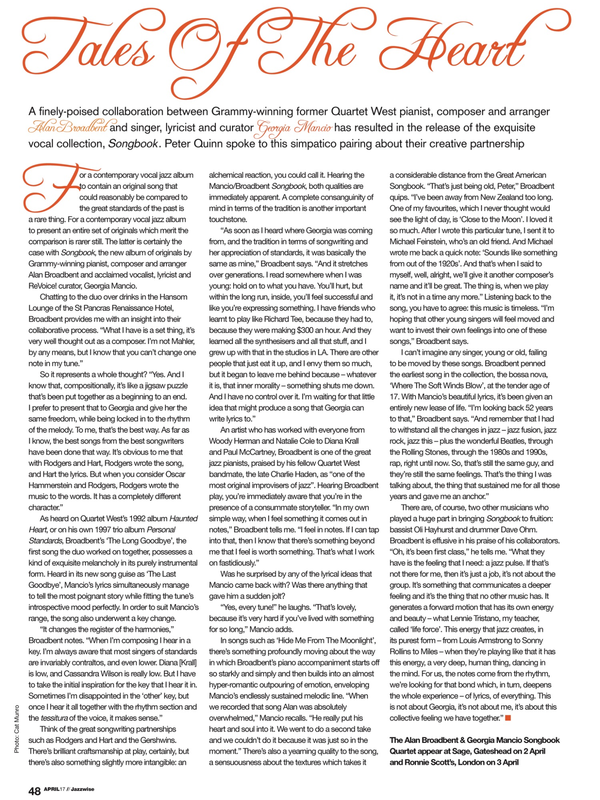 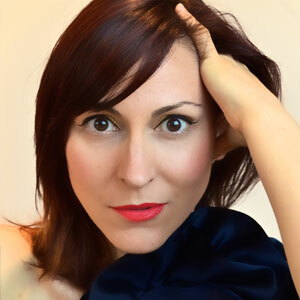 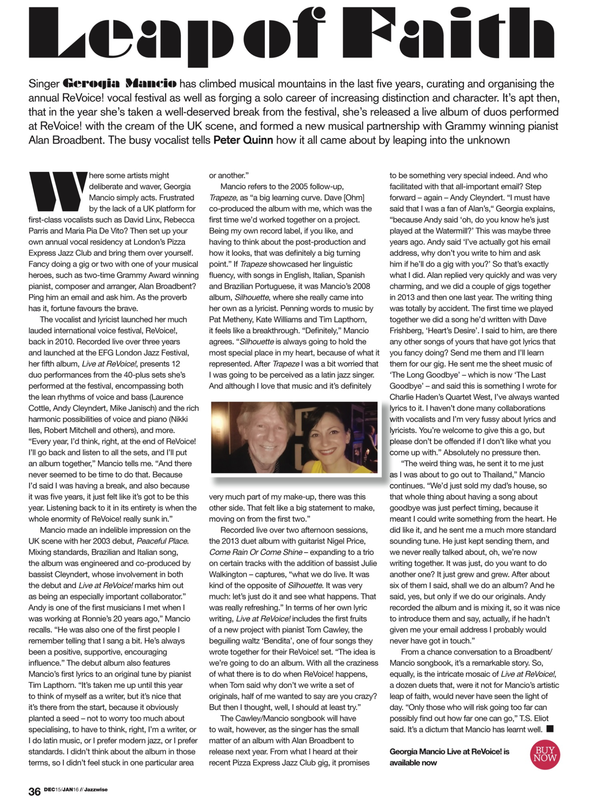 Georgia talks to Alison Bentley about the songs she has co-written with double Grammy-winning pianist/composer, Alan Broadbent, and their forthcoming Songbook Tour. 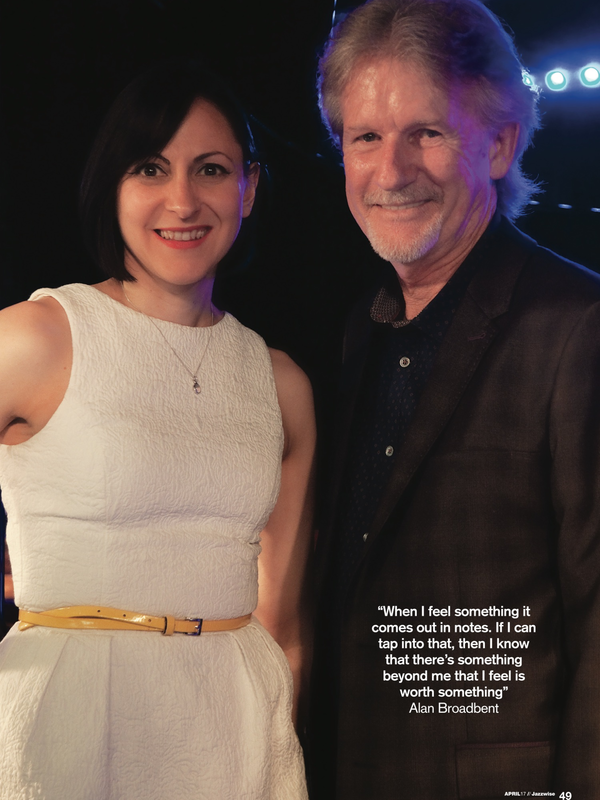 An in depth interview with Bruce Lindsay about Georgia’s early career and beginning her international voice festival ReVoice!